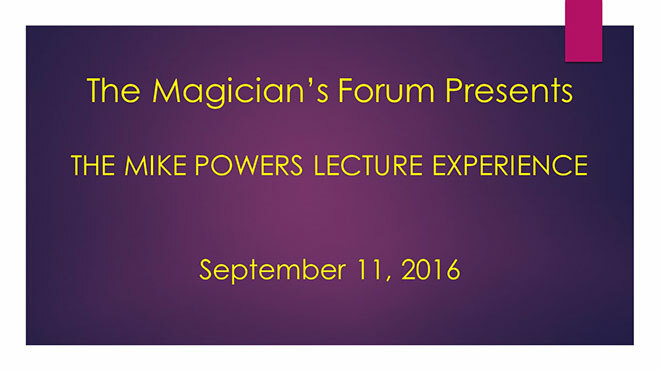 Mike Powers lectured on-line to a group of more than 80 magicians worldwide. The 2 hour lecture is now available to the magic community. Nine routines and several moves are taught in detail using three cameras and PowerPoint. The cameras capture a wide front view, a close up front view and an over the shoulder view for a superior learning experience.